Homeschooling classes, or homeschool co-ops, are made up of families work together to teach each other’s children. Co-ops can be as small as 3 families or have numbers in the 100’s. The number of classes offered will vary according to the group. Most groups meet one day per week for 8-10 week sessions. Homeschool co-ops allow children to socialize and experience learning in group settings. Classes are taught by parents or paid tutors, giving children the opportunity to learn subjects their parents aren’t able to teach them. While participating in a co-op called Classical Conversations, my children had an opportunity to study art, music, history, geography and Latin, as well as conduct science experiments and give oral presentations. They also had a chance to make new friends and participate in group holiday parties. You can learn more about our experiences by watching this video about Classical Conversations. When choosing a co-op, make sure the group meets the needs of each one of your children. Avoid conflict by making sure your teaching philosophy and parenting style are similar to those of other members. Find out the group’s rules and requirements. How much will you have to spend on fees and materials? Do they use paid instructors or parent volunteers? Will you be required to teach a class, serve as an assistant, work in the nursery or help set up and clean up? 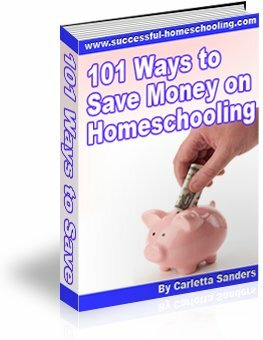 Homeschooling coops can be a fun experience, but they require a large time commitment. Before joining, see if your needs will be better served by an organization that provides homeschool activities or consider becoming involved in homeschooling support groups.